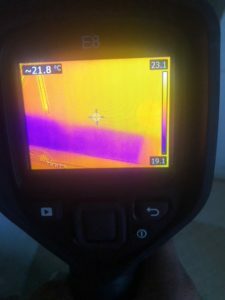 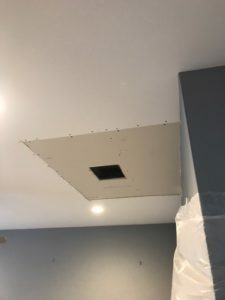 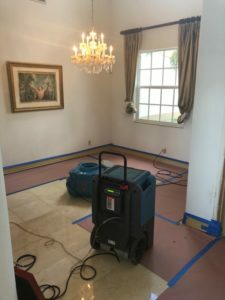 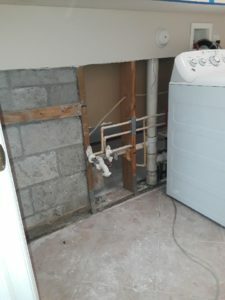 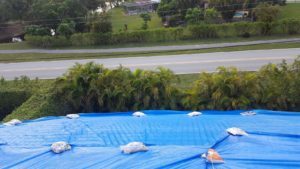 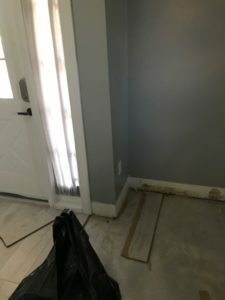 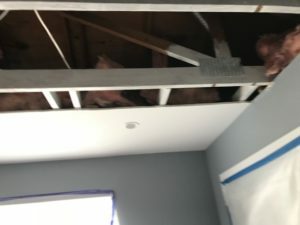 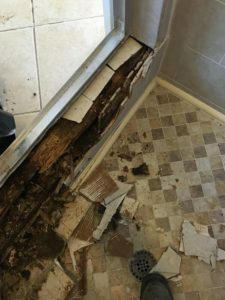 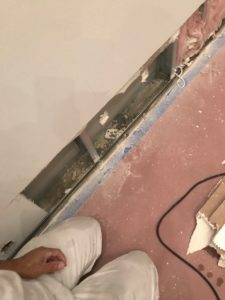 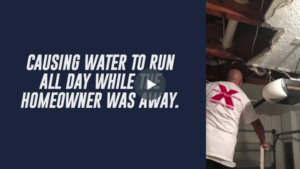 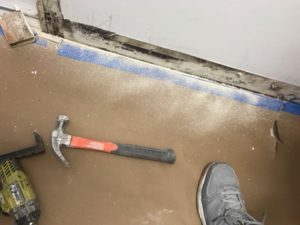 When condensation accumulates in an attic crawl space in Boca Raton from a roof leak or too much humidity, the result is often a mold infestation. 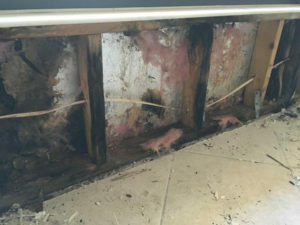 These fungi develop rapidly as dormant mold spores are fueled by the moisture and feed upon the trusses, sheathing, and the non-salvageable sections of the ceiling drywall panels. 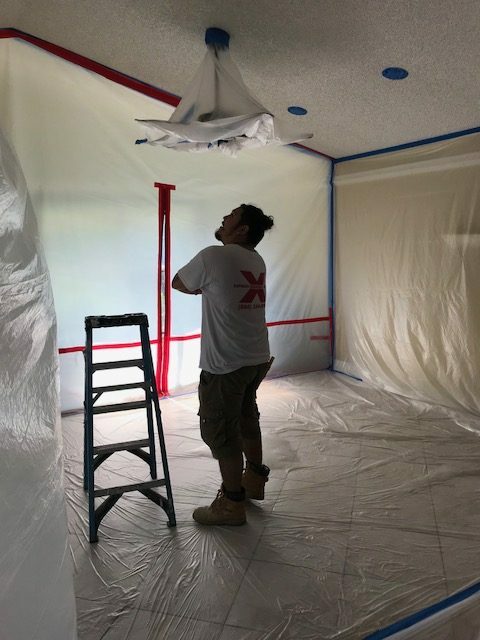 This photo illustrates the professional care that our technicians from Express Emergency take with the controlled demolition. 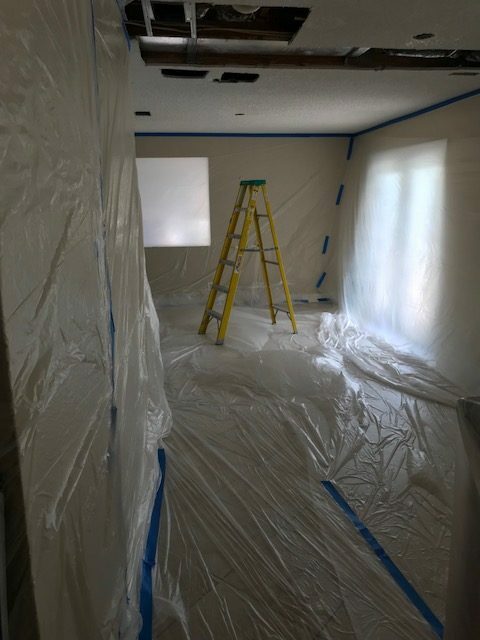 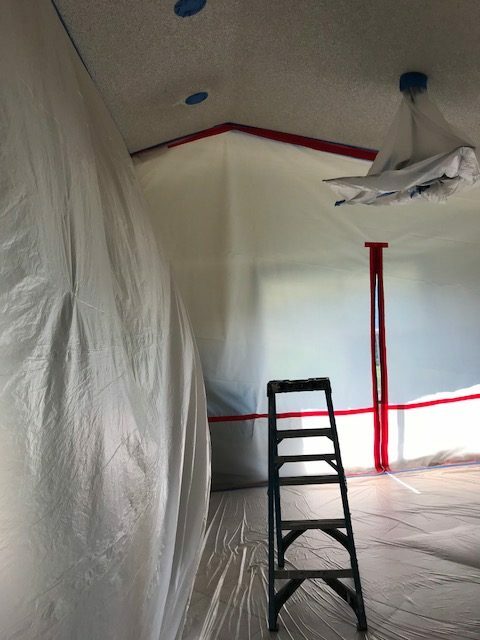 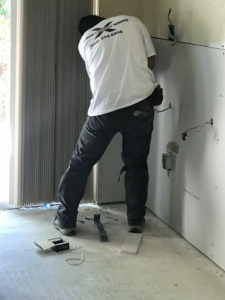 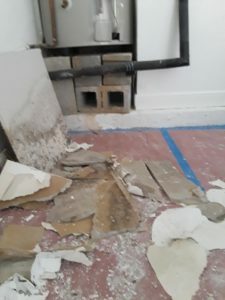 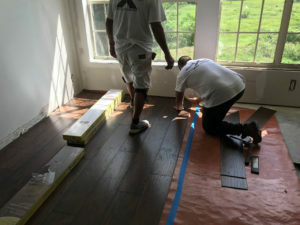 The plastic sheets protect the living areas from cross-contamination during the “soda blasting” in the attic to remove the mold colonies and spores. 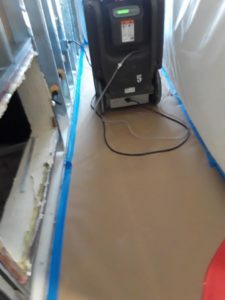 We use HEPA filtered vacuums to capture the airborne particles and spores and finalize the service with an antimicrobial spray in the crawl space. 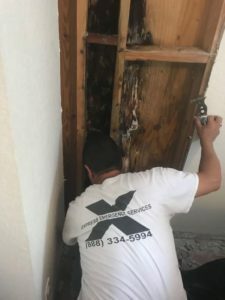 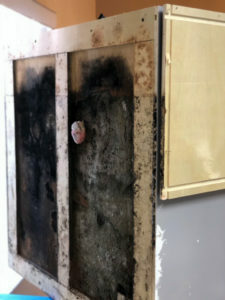 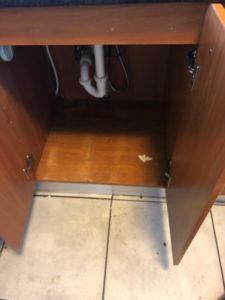 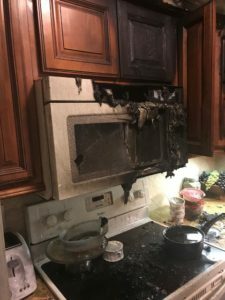 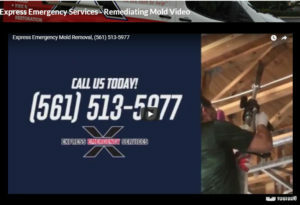 For a safe and secure Boca Raton home when you see or smell mold, make the call to Express Emergency at (561) 513-5977 and we can respond quickly to residential and commercial mold damage.